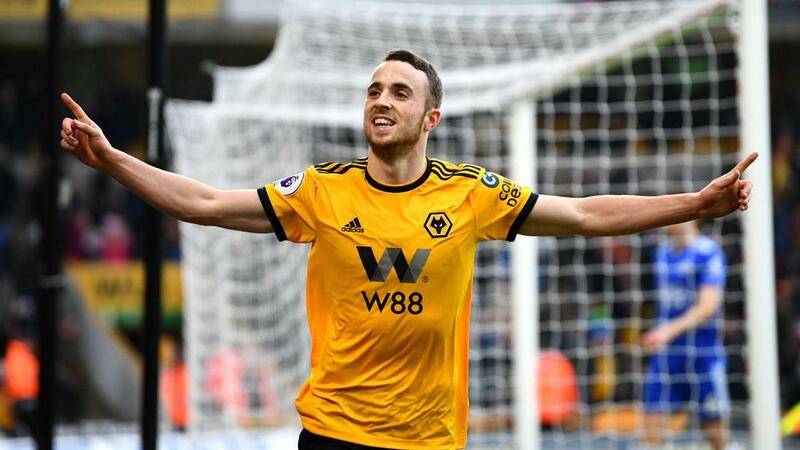 Diogo Jota's hat-trick gave Wolves a remarkable 4-3 win over Leicester City in a topsy-turvy Molineux encounter. Wolves punished an abject start from their visitors, with Jota and Ryan Bennett making it 2-0 inside 12 minutes. Kasper Schmeichel saved from Jota and Raul Jimenez to limit the damage and Demarai Gray's solo effort hauled Leicester back into it early in the second half. Harvey Barnes' deflected 51st-minute attempt gave Conor Coady the unfortunate distinction of picking up a second own goal in the space of six days. Morgan thought he had grabbed a point three minutes from time but, having been caught out by Ruben Neves' brilliant pass for Jota's 64th-minute second, he saw the Portugal midfielder release Raul Jimenez to tee up the winner and spark bedlam.